Following on from Guido Schneider's enigmatic 'Focus On' Album in 2006, Poker Flat are especially proud to introduce the next in the series, in the scintillating form of Focus On: Argy. Comprising partly of new and exclusive productions by Argy with a strong handful of well known and up-coming names, and highlights from his back-catalogue of releases and remixes, the mix acts as a showcase for Argy's unique style, taking influence from strong, energetic peak time house through to deep and spaced out percussive journeys. Hot collaborations with Solomun, The Mole, Maral Salmassi, Dj Gregory, Jerome Sydenham and Bayoga all open up various mindsets, various avenues of Argy's musical passions, as we traverse through an impeccable selection of modern house music. Not wishing to conform to the rules of a mainstream house Dj-compilation, Argy takes a bold and clear stance when it comes to the structure of the mix. The first three tracks start things running strong, as if you've just arrived in the middle of a peak-time set, with the phasing chord stabs from Argy's Remix of Jerome Sydenham's Ebian melting into the powerful bass of 'The Storm'. It's a soaring, urgent introduction that's wonderfully unconventional and captures the complete spirit of Argy's ideology. These tracks were designed for the dancefloor, and it spells out the intentions of the mix with style and honesty. From there on things become more cerebral, with Argy's debut hit on Poker Flat, 'Love Dose', introducing a passage where time is frozen and the party begins to unfold at its own heady pace. From there on we are simply left in the delightful and submissive position of the Listener, as the introduction also serves as a contract between Argy and his audience. We are now completely under his spell... locked in and Focused On. Each track is clearly introduced with a defined mixing style, announcing each new moment to the audience and making a spectacle of the variety and depth of music on offer. 'I would never dare to approach an album without a concept', Argy divulges, and its clear from listening to both the exclusive vinyl tracks, and the hour long mix, that he means what he says. Each brand new and exclusive track featured on the vinyl release is a fresh collaboration between Argy and another producer or musician, and the concept dictates that both must have an active part in the recording of the track. Argy wanted to try something new, something very rare, which is to group together collaborations with various other artists in the form of an album, and is a highly-focused album at that, exploring as any different dancefloor possibilities as are possible within his sound. Traversing the spectrum from the intense travelling grooves of 'Anenome', with Solomun, a track that is perhaps the most energetic trip on show here, to the evolving percussive workout of 'Under No Illusion', with percussionist Bayoga, there are endless delights on offer. Teaming up with Canadian-in-Berlin The Mole, the two producer's love of funked up filtered sounds come through like a sizzling afterhours jam, which contrasts rather nicely to the neo-tribal rhythms of the essential 'Our Drums', a track produced alongside Argy's all time hero, Parisian legend Dj Gregory! And there are more delights to dip into as another figurehead and legend in his own right, Ibadan records boss Jerome Sydenham, gets in the studio with Argy. The resulting track, 'In The Mist', is a tranced out deep and dramatic cut with powerful chords, reminiscent of early Ibadan output. Also, as an ode to something further off the beaten track, Argy teams up with Munich based Vocalist, Songwriter and Producer Maral Salmassi, in the booty-sleaze electro pop of 'Another Sin'. This track is a bonus inclusion to the vinyl release and really goes to show what fun can be had when Argy's collaboration concept is adhered to. In explaining the motivation for working this way, the young producer introduced the idea of the power and magic behind collaborations, not just where an established producer works with a vocalist, or a particular instrumentalist, but where two accomplished producers and musicians in their own right go head to head. The possibilities of collaborating are endless Argy explained, opening up a door for a special 'third artist', who is born of the combination of two overflowing, creative minds. This can be found in effect in every track included here, and simply reminds us how many talented and individual sounding artists there are within our sights at present, and indeed the pleasures making partnerships, connections and communities between them. Also featured in the mix are a number future classics from his blossoming back catalogue of releases and remixes, including the spectacular warehouse-tribalism of 'Love Dose', his debut release on Poker Flat, to the driving peak time hot house of his 'Legendary Bonus Beats Remix' of Jerome Sydenham's 'Elbian'. Argy's recent dubbed out remix of Ryo Murakami's 'Down The Sky' (Poker Flat 95) features later in the mix. As the energy begins to build once again towards the stunning finale, Argy which mixes his hit 'Unreliable Virgin', from Frankfurt's ever popular Cocoon label, with the epic, positive drive of Rune & Sydenham's remix of '1985', a track released by Argy on the Hamburg Liebe*Detail Spezial imprint. 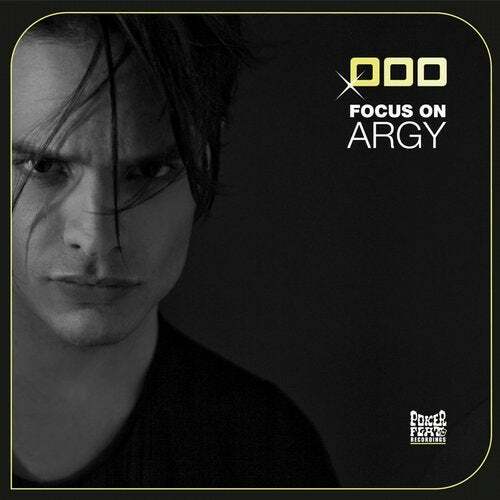 Focus On: Argy is a mature, dedicated and insightful journey into a true Artist of our time. Displaying talent and vision in abundance, the young Dj and Producer is developing further and further, and this project is a clear indicator that his clear-headed musical ethic really works on the dancefloor. However, more poignantly, when considered in light of all the blurry eyed, lost-weekend associations house music often carries with it, it is a refreshing pleasure to find Argy's true passion and dedication clearly represented in his art.